This one is called a Moa (Hawaiian for chicken) and he lives on the island of Kauai. I created him by stitching tiny Japanese seize 15 seed beads to a felt foundation. I used more than 10 different colors, including blue 1 x 4mm micro bugle beads. 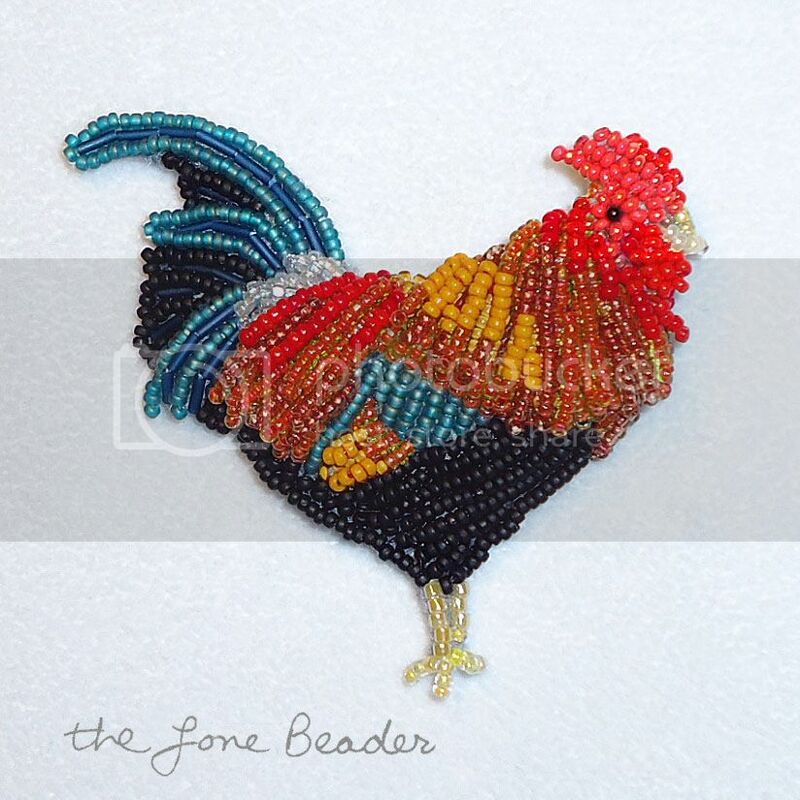 I also layered beaded fringe for his feathers to create realism. This piece is a pin which can also be worn as a pendant. 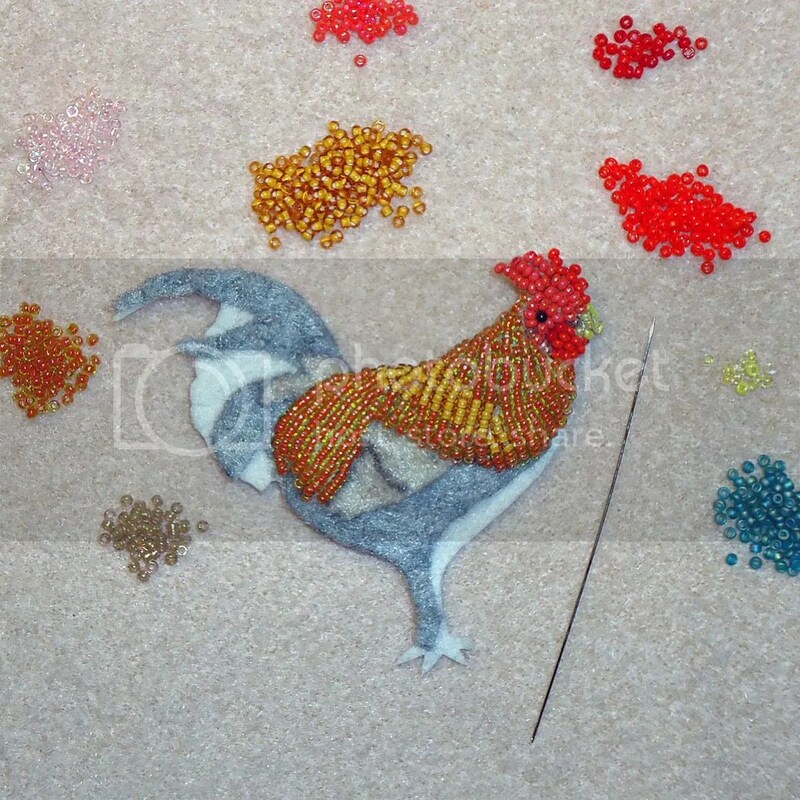 Something tells me this won’t be the last beaded chicken pin I create.. This is so cute! I just got back from Hawaii recently and it was pretty cool to see chickens running wild all over. Love the pin! A question, do you use different colored thread for your work or just white? I saw this on FB and was blown away! Just wonderful!! !